So begins the prelude to the Queensland Theatre Company’s latest original play My Name is Jimi written by, and starring, charismatic Cairns actor Jimi Bani (Mabo, The Straits, Redfern Now). Evolving from a three-month QTC New Work Residency program supported by the Copyright Agency’s Cultural Fund, My Name is Jimi tells the story of a small community of people fighting to protect what really matters, the preservation of the culture and language of Mabuiag Island, in a rapidly changing world. Bani’s selection to the residency program gave him exclusive access to the theatre company’s resources, such as a work and rehearsal space, and collaboration with in-house directors, designers, production staff and publishers. In the second phase of creative development, directly sponsored with $30,000 from the Cultural Fund, Queensland Theatre Company brought Jimi, his family, and an incredibly talented pair of theatre designers to Brisbane for a week of intensive crafting. “It’s truly rare for artists to be able to spend this much time exploring and playing with ideas, and the dividends have paid off,” Bani says. Following a sold-out debut in Cairns, My Name is Jimi is now performing at the Bille Brown Studio in Brisbane until 13 August 2017. Involving music, dance, stand-up and fireside storytelling, the play is also a truly family affair – with Jimi performing alongside his son, brothers, mother, and even his grandmother. 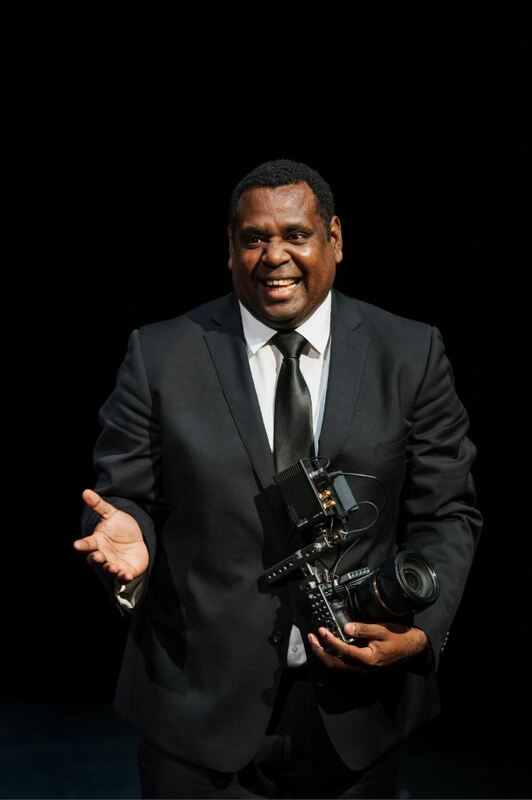 “There are few Torres Strait Island-led productions in the Australian theatrical cannon, and even fewer make it to major state theatre companies – we say Esso (thank you) to Queensland Theatre for allowing us to tell our story,” Bani says. More than ten projects selected in the latest round of funding directly support the creation of Indigenous works. My Name is Jimi performs at the Bille Brown Studio in Brisbane 22 July – 13 August 2017 and will then show for a limited run at a yet to be determined venue on Thursday Island.